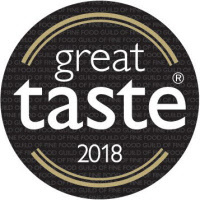 Great Taste, the world’s most coveted food awards, which celebrates the very best in food and drink, has announced the Great Taste stars of 2018. Out of over 12,600 products to be judged, Coffee Sense in Somerset was awarded a 1-star Great Taste award for Four coffees which means judges dubbed it a coffee that delivers fantastic flavour as well as One coffee which was awarded s 2-star Great Taste award, which means judges dubbed this coffee above and beyond delicious: Judges comments ‘Wow....DeCaf. This coffee has a complexity of flavours that would, and does, knock many coffees out of the park. Bob Patrick of Coffee Sense explains: These awards mean a lot to us here at Coffee Sense, we are working all the time to ensure that we produce the best coffee that are available. Great for Espresso, Cappuccino,Latte, Etc.